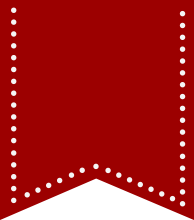 Each year the Santa Claus Post Office (the only one in the world with Santa’s name!) receives thousands of letters to Santa from children all over the world. And, every letter gets answered! The tradition of answering letters to Santa dates back to the 1920s, and is still going strong today. You can write to Santa at the Santa Claus Museum & Village. When you visit the Santa Claus Museum & Village, children are invited to write their letter to Santa while sitting in antique desks inside the original Santa Claus Post Office. When the letters are done, little ones can deposit them in a special mailbox and ring a set of bells to let Santa know the letters are ready. The whole process is a magical experience that your kids will love doing year after year. … or from the comfort of your own home. 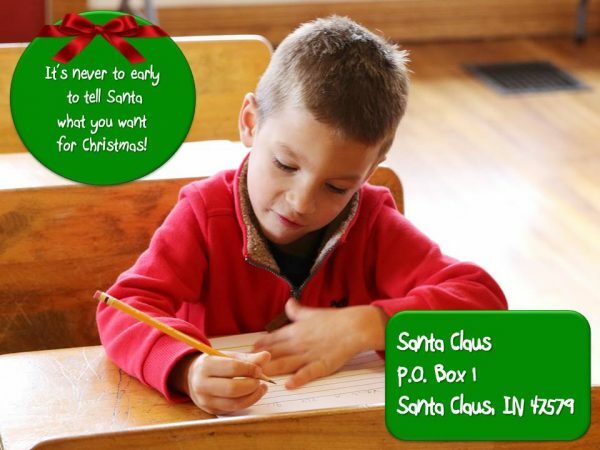 If you can’t make it to the Santa Claus Museum & Village, you can mail your letter to Santa from anywhere in the world! As long as your letter to Santa has been received by December 20, 2019, and a legible return address is included in the letter, the child will receive a reply. Yup, you read that right! If you are able to write your letter from the Santa Claus Museum & Village, the whole process is free. The Museum & Village is able to do all of this through donations. If you would like help this tradition continues, you can donate here. If you send your letter from home, you will have to pay the postage in order to send the letter, but you do not need to pay for anything else. Still have questions? Contact the Santa Claus Museum & Village. This blog post has been updated from November 2018.